At CGS, the health and safety and well-being of every child underpins every aspect of school life. We listen to our students and take seriously what they tell us. Our aim is for children to enjoy their time as students in this school. We want to work in partnership with parents to help your child achieve their full potential and make a positive contribution. To promote a safe environment for students, our selection and recruitment policy includes all checks on staff and regular volunteers' suitability, inlcuding Disclosure and Barring Service checks, as recommended by Buckinghamshire County Council in accordance withcurrent legisation. 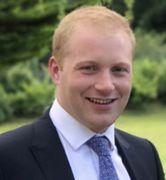 In accordance with our responsibilites under section 175/157 of the Education Act 2002 and "Keeping Children Safe in Education" September 2018, we have a Designated Safeguarding Lead for Child Protection, Oliver Josephson who is a member of the Senior Leadership Team, and has received appropriate training for this role. It is his responsibility to ensure that all staff in contact with children receive Child Protection awareness training on a regular basis. His first Deputy is Hugh Bradbury (Assistant Head) then Tim Patteson (Deputy Head) then Gail Maishman, Owen Pierce and Neil Spittle (House Leaders/Head of Year). If a situation arises when our concern about a child means we have to consult other agencies, whilst we would always aim to work in partnership with parents, there may be exceptions to this when concerns are raised for the protection of a child. On very rare occasions Social Care, whilst undertaking an investigation under S47 of the Children Act 1989, may want to speak to a child without a parent's knowledge. This would be a decision made in collaboration with partner agencies and would only be done in situations where a child might be at immediate risk. To gain consent at this point may increase the level of risk to the child or cause evidence of a crime to be lost. The procedures, which we follow, have been laid down by the Local Safeguarding Children's Board, and the school has adopted a Child Protection Policy in line with this for the safety of all. Sarah Howard, SENDCO Manager is SENDCO to the Safeguarding Team. The Safeguarding Governor is Elizabeth O'Reilly. The office is manned throughout the school holidays with the exception of the week between Christmas and New Year. We have a site which is as safe and secure as possible, including the use of CCTV. Our Whistleblowing policy is currently being updated.